The San Diego Chargers will decide if they will retain head coach Mike McCoy Monday, according to a San Diego Union-Tribune report. Fox Sports reported Friday that the team was expected to fire McCoy following the final game of the season against the Denver Broncos. The U-T report claims that there is a good chance McCoy will be retained come Monday to fulfill the final year of his four-year deal. NFL Network also reported that McCoy has a chance to return. 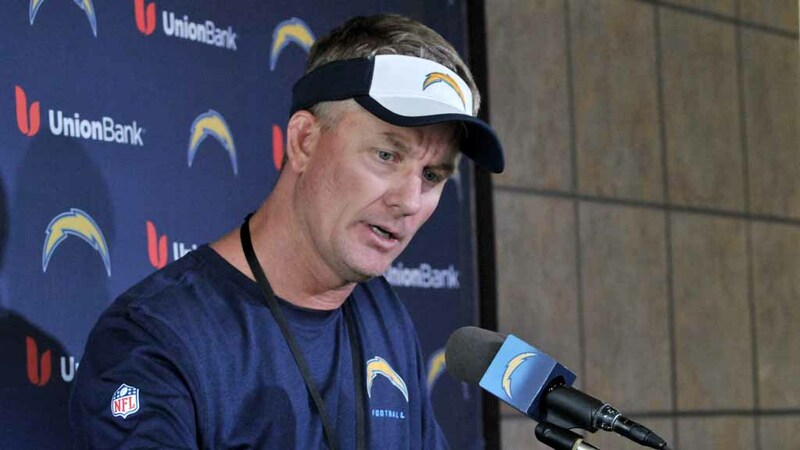 McCoy took over as the team’s head coach in 2013 and guided the Chargers to the playoffs that year where they beat the Cincinnati Bengals in the Wild Card round. In 2014 the team went 9-7 again and was one win away from making it into the playoffs as a wild card again. 2015 was not as fruitful for McCoy as the team was unable to reach six wins for the first time since 2003. Injuries ravaged the team this season and there were plenty of distractions by way of talks of a possible move to Los Angeles. The team is expected to decide on McCoy on the same day it is expected to file for relocation.